So, in golf for example (unless in a match play tournament), players’ performance over 4 rounds in averaged out to decide the placings. This means that golfers can often survive a round where their score is beaten by many players in the field, and still do very well in the tournament if they play well in the other 3 rounds. In tennis however, players results are often much more defined by their worst match of the tournament, because on any day that your opponent is better than you, the tournament is over. I learned this lesson early in my coaching career when I coached 2 remarkably talented, but extremely volatile players, both of whom I watched crush top 100 players at their best, but unfortunately never curb their habit of exploding early in tournaments on days that weren’t meeting their expectations. This meant that while on any given day they were able to play at a level that perhaps no other player reached in a tournament, they rarely won tournaments because of their inability to navigate a way to victory during matches where they faced adversity. So, it’s the ability of players to be repeatedly just a little better than the player down the other end on any given day that is a key competitive skill of tennis. Therefore, one of the vital arts of mental toughness is to navigate a way to winning on days you are not playing your best. To improve this skill requires the ability to respond well to the inevitable and unintentional difficult feelings that come on days when things aren’t going well such as frustration and helplessness, and thoughts that show up along with these feelings like “that’s not good enough” and “there’s nothing I can do”. 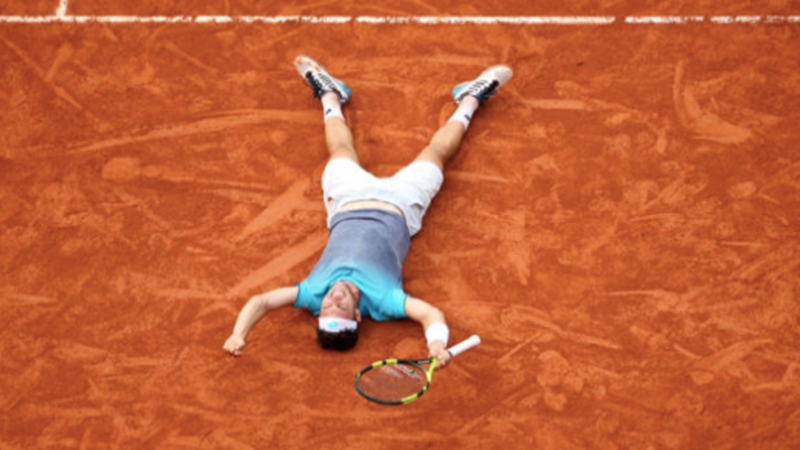 After all, I would bet a lot of money that when Marco Cechinato was facing another 1stround Grand Slam exit 9 days ago, that he was experiencing LOTS of difficult thoughts and feelings about his situation, most notably thoughts to do with the expectation that his tournament was likely about to end. And it was the mental toughness to escape that dire situation and scrape out a win on day 1 when he wasn’t at his best, that gave him the chance to do something incredible 9 days later. So if you are looking to help players' win %, my strongest advice to focus more attention on improving their skill in finding a way to win on their worst days than their best days. Because this is the key to tournament survival..